Are you always racking brains to find the correct color blend and the hex codes? Get them from the charts below! You can use these colors to beautify your petpages, lookups & also neosignatures and neofont to match with your avatar! Now you can just visit this page and get to know all the color codes without sweat! Please link back if you find this page useful! Here are some pages that will help you to build your petpages/ lookups. If you want to be linked here, feel free to click on the Neomail Me Trifle on the top of the page. The following images are googled and taken from external sites and will be stated at the end of the charts. I did edit the images, however I do not claim them as own because I did not make them. The only images I made is the banner and button. I have no intentions of stealing these charts and only put these charts together on this page for convenience sake for all Neopians. This is the basic and most summarized color chart that should be enough for your needs. For more colors and shades, try the advanced color charts below this chart. 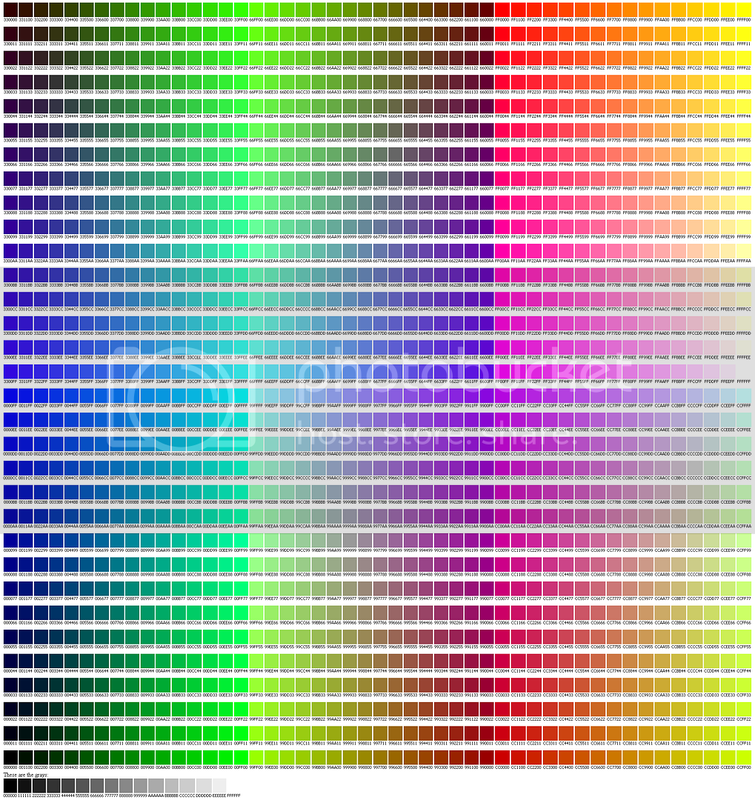 The middle chart is a Web Safe color chart which ensures all browsers to be able to read the colors. Above charts are from www.pagetutor.com, www.pagetutor.com again and www.johncfish.com respectively. All colors are arranged according to Color Name, Color Hex followed by an example of the Color. 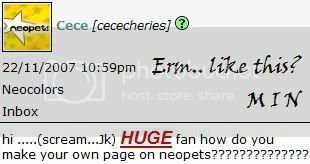 Page created on October 26th 2007. Note: these block of text is to help users find this page through search engines.